Story - 1: I thoroughly disliked this issue. For starters, it's a huge step back for this series. This book takes place six weeks after Kenan becomes Super-Man. The time to tell this story would have ideally been around that period in this series' timeline. Instead, we're treated to what feels like an afterthought filler issue. I suppose I wouldn't mind so much if this issue actually went anywhere, but that's the thing - it goes nowhere. We already know the truth about Dr. Omen, so the events of this issue and Laney's suspicions mean nothing and have no impact on the overarching story. All intrigue has been taken away by the fact that there is no mystery anymore. Further, this issue comes too little too late with its attempt to develop Laney Lan as a character. We've seen Laney perhaps a total of four times over eighteen issues and in those appearances, she's been glossed over because she had little bearing on the plot. Now, in the nineteenth issue of this series, do we get a sloppy issue that's meant to develop someone who has until this point been little more than a glorified background character. I can't tell if it's Tamaki's writing or not, but Laney is grossly uninteresting. 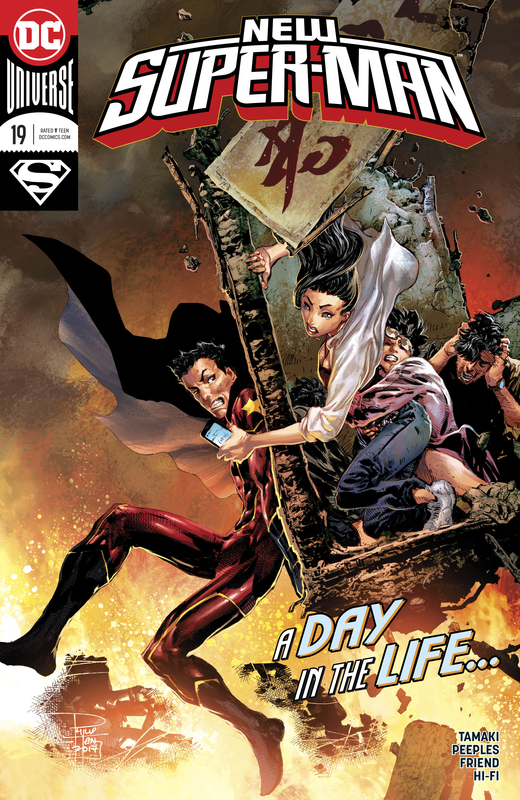 She's merely a younger Chinese Lois Lane, complete with a deteriorating relationship with her father. There is nothing about this character that makes her stand out. 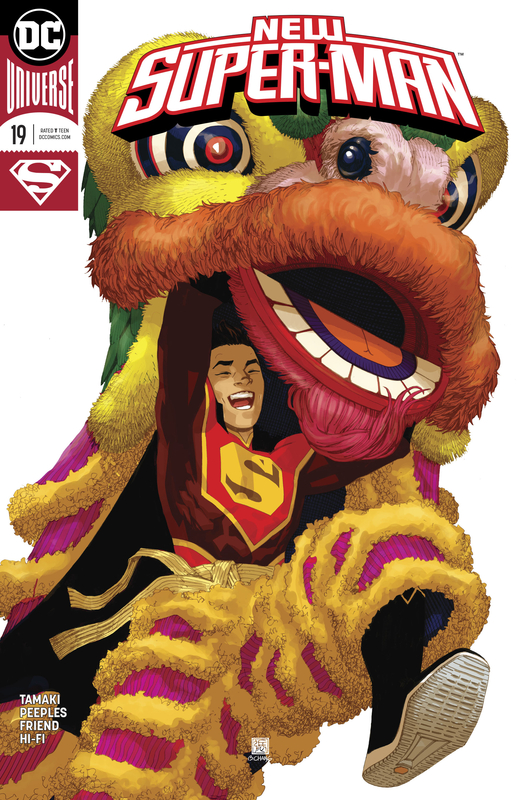 Kenan's Super-Man - who is quite literally supposed to be the Chinese version of Superman - is far more original in that his personality, acquisition and retention of his powers, and his mode of thinking differ from those of Kal-El. Laney Lan is a carbon copy of her American counterpart, but somehow completely uninteresting. It also doesn't help matters that the events of this issue will seemingly not be continued as the next issue sees Yang resume writing duties and the beginning of a new arc introducing the JLC's version of Aquaman. Art - 4: Objectively, the art in this book looks good. There are some panels with Kenan that look a bit odd, but other than that, there's not much to complain about. Even Laney Lan with her awful character design looks decent here. Cover Art - 3: I like the concept, but Kenan looks off. Laney looks good, though. Variant Cover Art - 5: I enjoyed this variant. It's fun, colorful, and beautifully drawn.